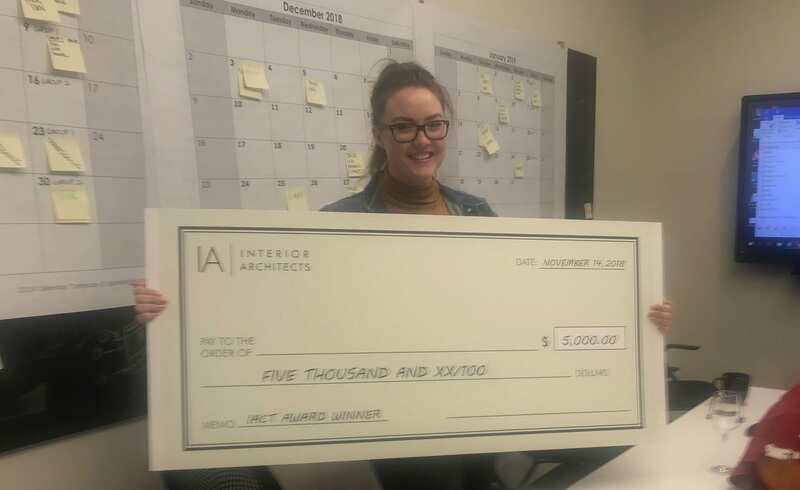 IA Interior Architects is pleased to announce the winners of the 2018 IAct Awards, a program honoring individuals within the firm who achieve excellence in one of four categories: Leadership, Innovation, Service, and Rising Star. Celebrated every November, the IAct program is a peer-nominated award that recognizes and gives thanks to our professionals, the heart and soul of IA. 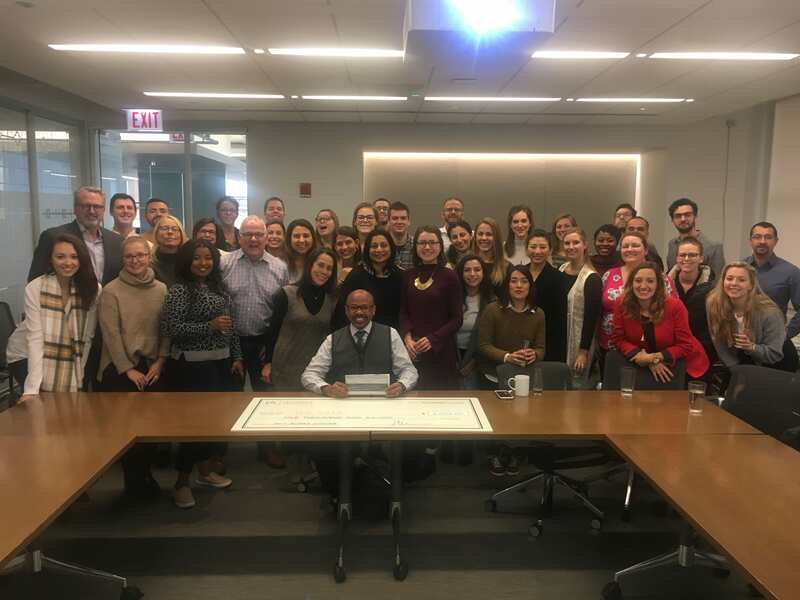 These individuals exemplify the firms’ traits and values, people who are dedicated and invested in the continued growth of IA, their peers at the firm, and the evolution of the practice of interior design and architecture. This year, the IAct Award for Service is being presented to the LoveForLivi (L4L) committee, for their inspiring efforts in raising funds to assist a colleague, Livi Pejo, after she was injured in a life-altering accident. The committee organized and executed a fundraising event that raised over $47,000 to benefit the Pejo family. The team was led by eight members of IA’s DC office including Jackie Jenzen, Julia Dane, Mary Heapy, Steve Owens, Allison Kramer, Esther Nunes, Shannon O'Toole, and Caroline Powers. Members of the L4L Committee from left to right: Allison Kramer, Mary Heapy, Jackie Jenzen, Caroline Powers, Esther Nunes, Shannon O'Toole, Julia Dane, and Steve Owens. 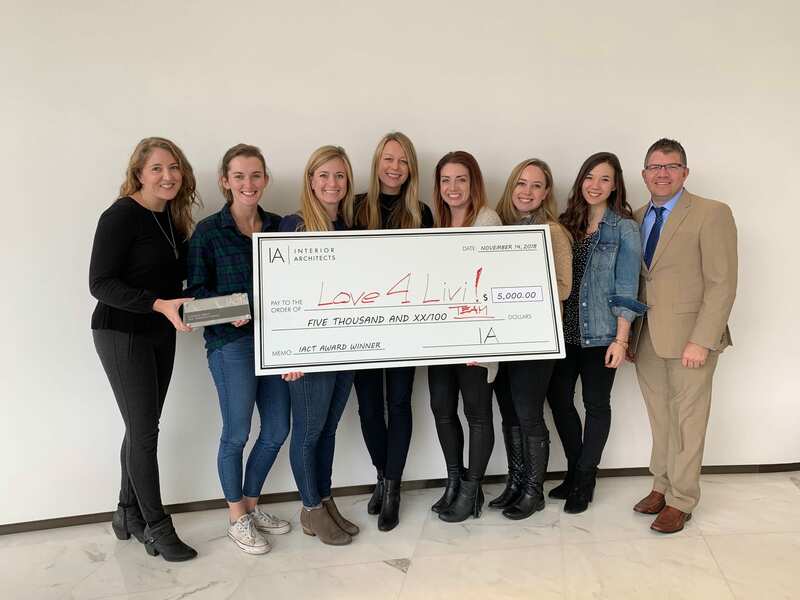 “The LoveForLivi Committee is a great example of how people that are passionate, talented, focused and determined can come together to inspire others to action and make anything happen,” shares David Bourke, Co President & CEO of IA. For more information on Livi and her recovery, visit www.love4livi.com. The IAct Award for Innovation was presented to Tom Scott, Director of Operations Systems. Tom has set a high bar for achievement in his 17 years at IA; he started as a CAD Technician with the firm, and after spending many years as a vital part of IA’s IT team, was recently promoted to Director of Operations Systems. Tom is well known as a multifaceted problem-solver, frequently developing inventive, resourceful solutions to any challenges he might face, all with grace under fire. His work contributes to all areas of the practice. 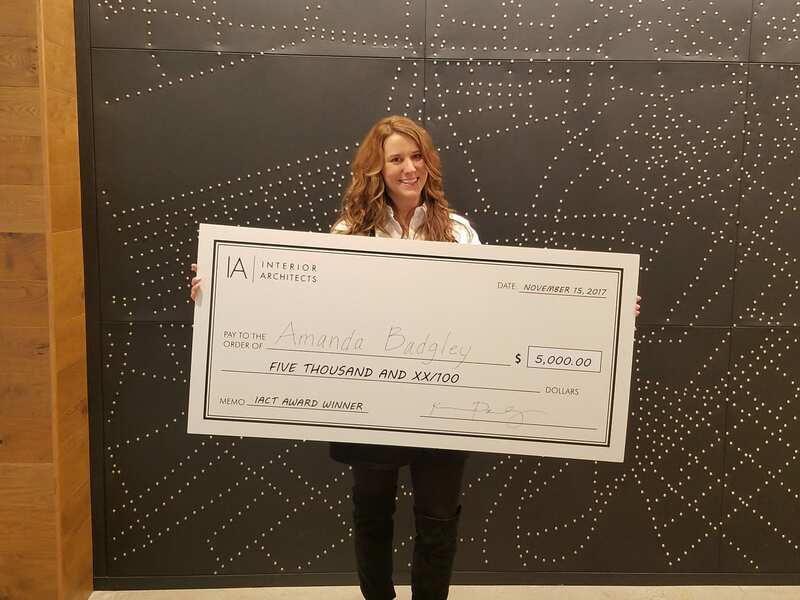 The IAct Award for Leadership was presented to Amanda Badgley, a Senior Experiential Graphic Designer in IA’s Boston office. Amanda has been a leading voice within the EGD team for several years, and has a similar role within the Boston office. She is an advocate for the firm’s EGD practice both internally and externally, serving as an ambassador in the community. Amanda was an instrumental part of the team that conceived of IA’s EGD Week and consistently takes on other new initiatives; she enjoys mentoring young designers both in her home office and across the firm. The IAct Rising Star Award was presented to Rebecca Van Lue, an Intermediate Designer in IA’s Silicon Valley office, who is being recognized for outstanding professional growth and development. Rebecca is known for going above and beyond in the face of challenging project work, consistently meeting each new challenge with good humor and curiosity. Having started as an intern with the firm, Rebecca has flourished in her design work, tackling new responsibilities enthusiastically and without hesitation. She always puts clients’ needs in clear focus, and has become an invaluable team member juggling multiple projects and committee work – all with high quality results. The awards were presented on Wednesday, November 14, during a live-stream event. IA is a global firm of architects, designers, strategists, and specialists .We focus exclusively on environments through the lens of interior architecture—a radical idea in 1984, when IA was founded. We are highly connected agents of change, committed to creativity, innovation, growth, and community. By clicking "SIGN UP," you consent to allow IA Interior Architects to store and process the personal information submitted above to provide you the content requested.